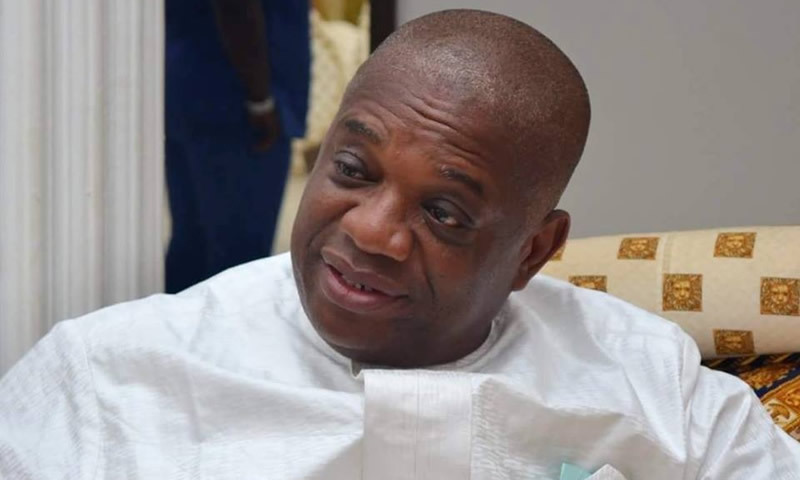 In what could be described as a week of final, royal blessings and support for the former governor of Abia State, and the senatorial candidate of the All Progressives Congress in Abia North, Dr. Orji Uzor Kalu, last Sunday, received special endorsements from traditional rulers in Igbere, Bende Local Government Area. The monarchs, who honoured Kalu, when his campaign train got to their communities, described him as their “most illustrious son,” adding that his election is “personal” to them. Addressing Amankalu Autonomous Community in their large numbers, the traditional ruler, Eze Charles Iheke, revealed his current status and position was obtained through Kalu and explained that his people’s excitement on seeing the former governor was because “Kalu’s greatness and good work has brought glory to Igbere. “My kingdom was built in February 2000, when Orji Uzor was governor. From the time he was governor, he has been very friendly and close with us. He visits us and we have continued to have a robust relationship. He is the Ahaejiejemba of Igbere and we are so proud of him because of the goodwill his name has brought to us. Similarly, the traditional ruler of Ibinukwu Autonomous Community, Eze Samson Ayanta, in his address, expressed special and unapologetic support for Kalu. He said the people of Igbere remain bonded and grateful for their son. Last Saturday, the traditional ruler of Amaofufe Autonomous Community, also of Igbere, Eze uwakwe Omiiko Ukaegbu invoked death on anyone working against Kalu’s senatorial ambition. Eze Ukaegbu told his community, who came out en masse to declare support for Kalu, that enemies’ hard work to cause confusion in Igbere is a waste of time because Igbere people are full of love for Kalu. The monarch lauded Kalu for what he noted were his giant strides in education, economic and agricultural revolution, as well as the attraction of projects in each council area of Abia State; when he was governor. “We own Igbere, we own Abia North, we own Abia State. Dr. Orji Uzor Kalu will win his election and his friend, President Muhammadu Buhari, will also win in Jesus name. We thank you for this opportunity to interface with you and rub minds on how to move Abia forward. “The large number of genuine people attending your ward to ward meetings represent how much you mean to the people of Abia and we are very proud of you. “Your educational, economic, agricultural drive and revolution in the state is legendary as you ensured free education, free medical and timely payment of salaries and pensions,” he noted.